For over 140 years, Belle Prairie Mutual Insurance Company has protected the property of thousands of customers throughout Central Illinois. As a small, private insurance company, we are able to offer our customers and independent agents personalized attention and individualized services that are second-to-none. Because we specialize in working with rural, farming, and small-town families, we understand your unique needs, making your experience with us easy. 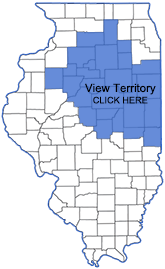 Currently, we provide property insurance for all types of farm homes and buildings, machinery and livestock, and homes in rural areas and small and large towns throughout 26 counties in Illinois. Financially strong, stable, and adequately reinsured, Belle Prairie stands ready to serve Central Illinois. 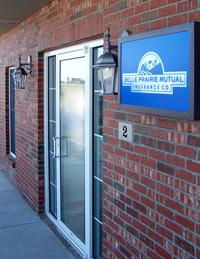 Belle Prairie Mutual Insurance Company provides personalized and timely service to all of our customers. Our rich history is based upon a "Pioneer Tradition" that goes back many generations.